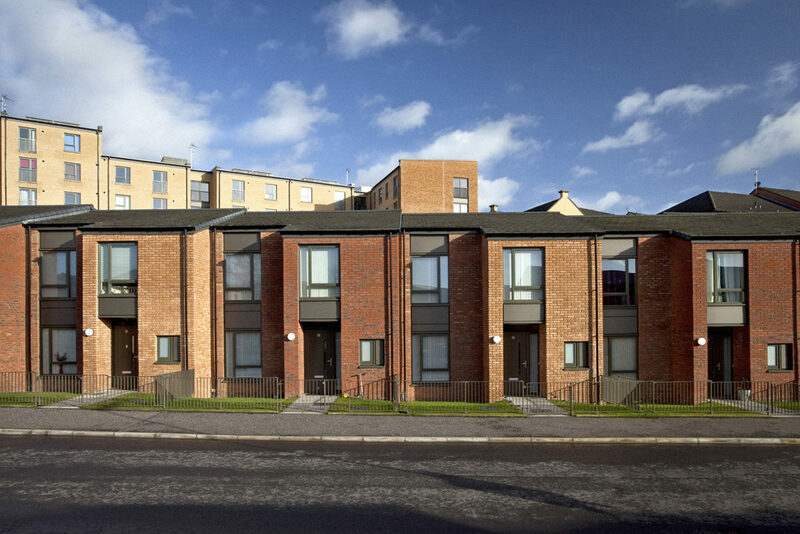 The Hopehill sheltered housing development is located on a site on Garscube Road, which is adjacent to two further sites by Collective Architecture for mainstream housing, for Queen Cross Housing Association. 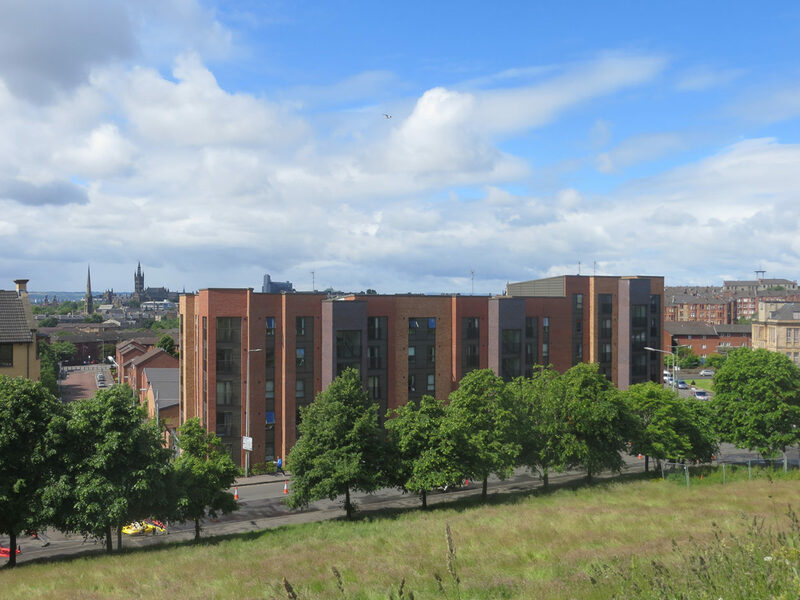 All three sites redevelop brownfield land located close to the Maryhill Canal, which were historically occupied by weaving and dying mills. Since the decline of the mills, the existing tenements and other industrial land in the area has suffered from neglect, with Garscube Road poorly defined with numerous gap sites. 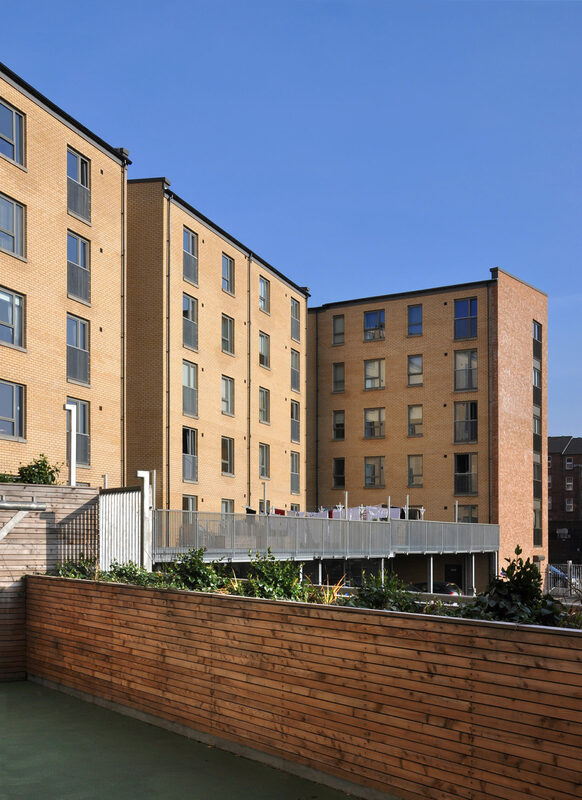 The sheltered housing development consists of 34 flats with wheelchair accessibility, arranged over 5 floors. 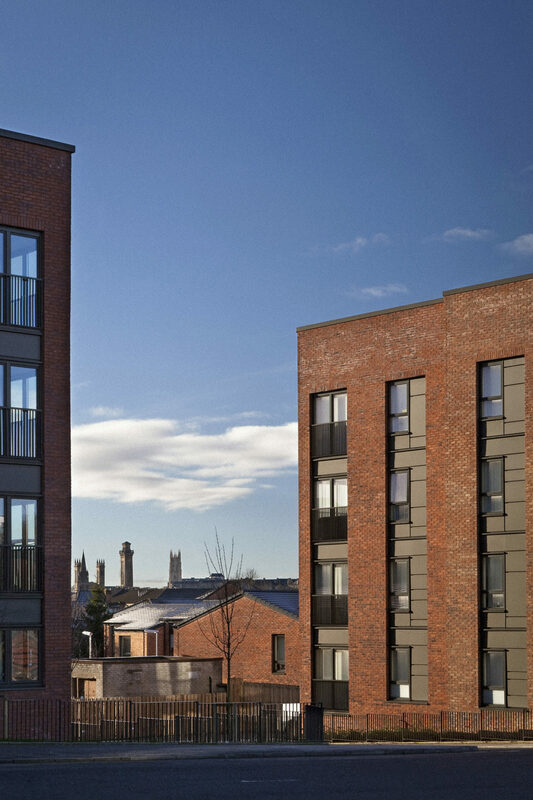 Each flat allows for independent living, with a living room, bedroom, kitchen and shower room. 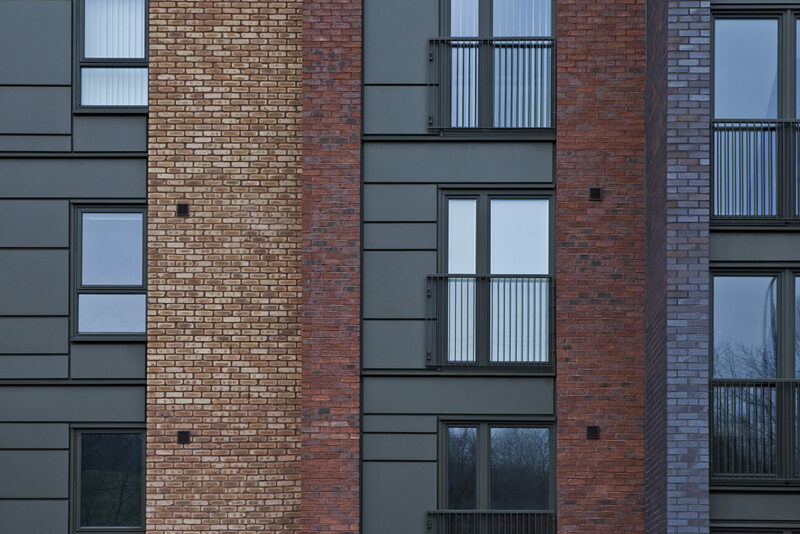 The flats are located to the quieter southern elevation, with juliette balconies providing clear views out to Glasgow's West End. 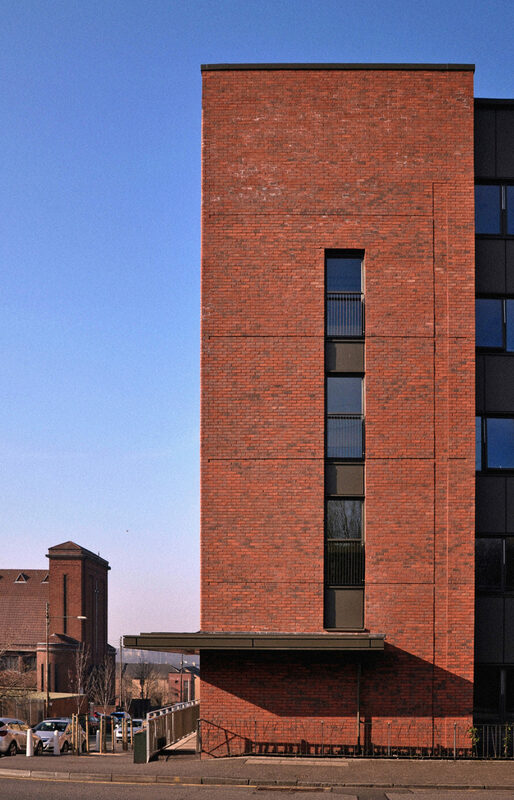 A communal entrance to the corner of the site, provides access to wide open corridors, with views out towards Garscube Road and the Maryhill Canal. 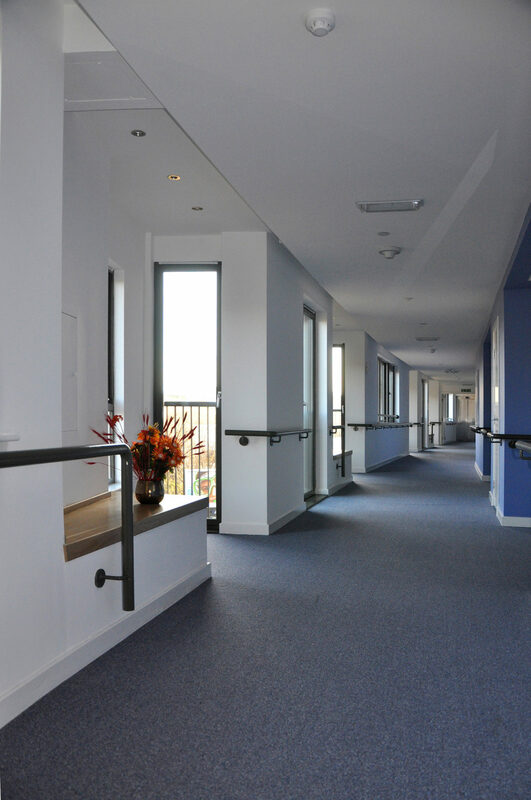 The corridors act as buffer spaces to the main road outside, and provide spaces for residents to interact, with seated views out to the canal. Corridors to each floor level are decorated in differing colours to help residents identify different floors. Communal facilites, including a residents' living room are also provided. 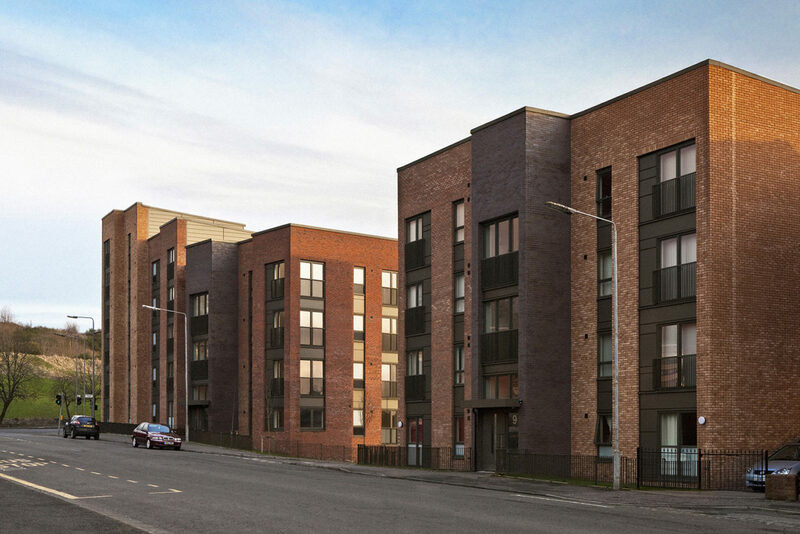 The project has been developed in consultation with the local steering group, which includes the local police liaison officer and Glasgow City Council Land Services.The flats achieve Band ‘A’ energy efficiency and at the time of completion, the development represents the largest new build hot water solar panel installation in Scotland.